Meet our Super Fans! » 2017-2018 Super Fans! 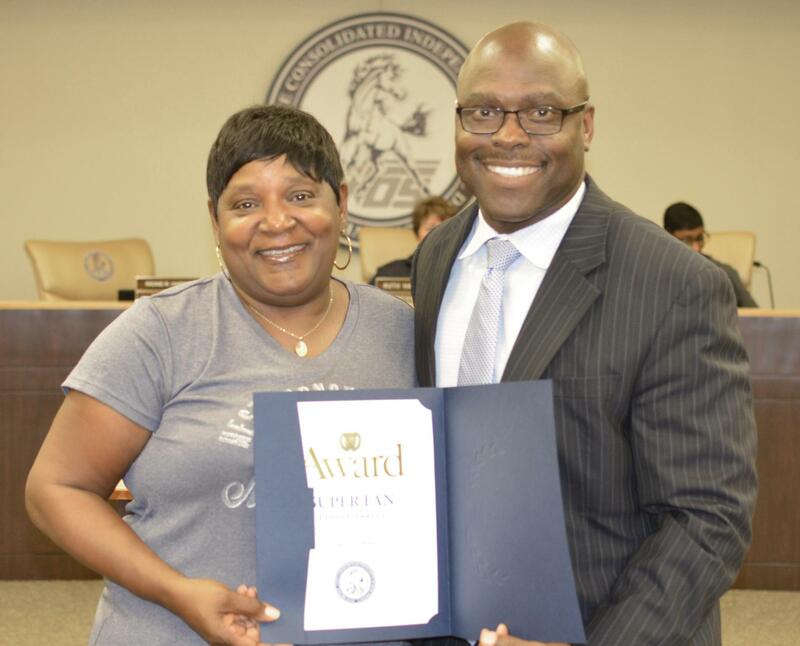 Each month, West Orange-Cove CISD is pleased to recognize a SUPER Fan in front of the WOCCISD Board of Trustees. 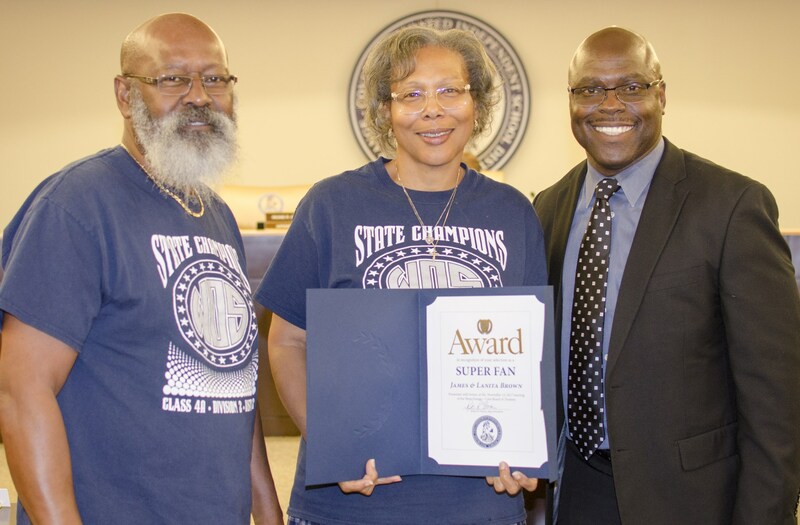 Super Fans are nominated online and presented with a Certificate of Recognition. 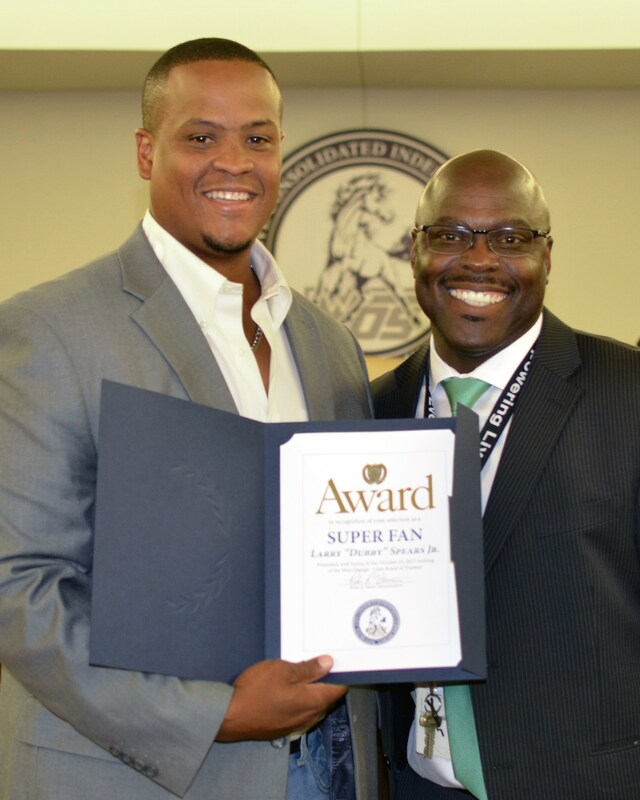 July 2018: Derrick Ledet is a Mustang Super Fan. 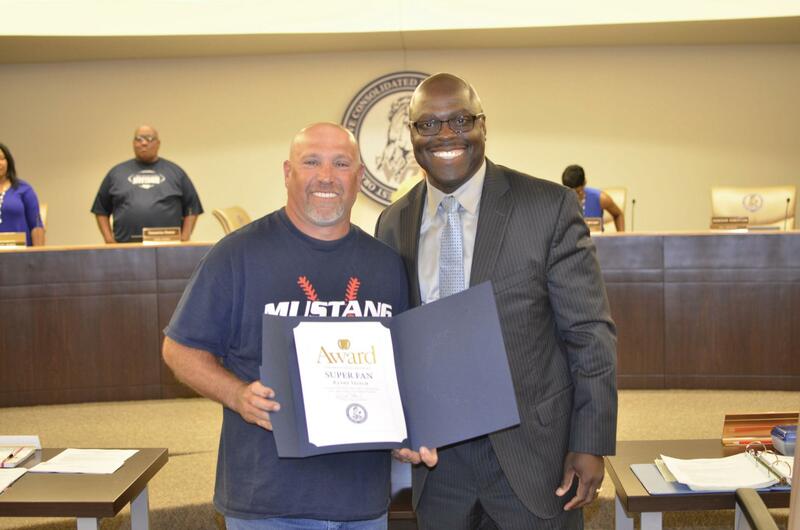 He is a member of the WOS High School State Championship football teams of the late 1980’s; and, has continued to support the Mustang Football program for the past 30 years. He is always present for the 1st Day of Practice each school year. He analyzes the schedule to share with fellow fans information regarding our opponents’ strength and weaknesses. He schedules his work around the Mustang football and the play-offs. He ALWAYS has his spot on the playoff bus reserved early. And, fellow riders call him Coach “Stein” for his ability to break down the opposing team. 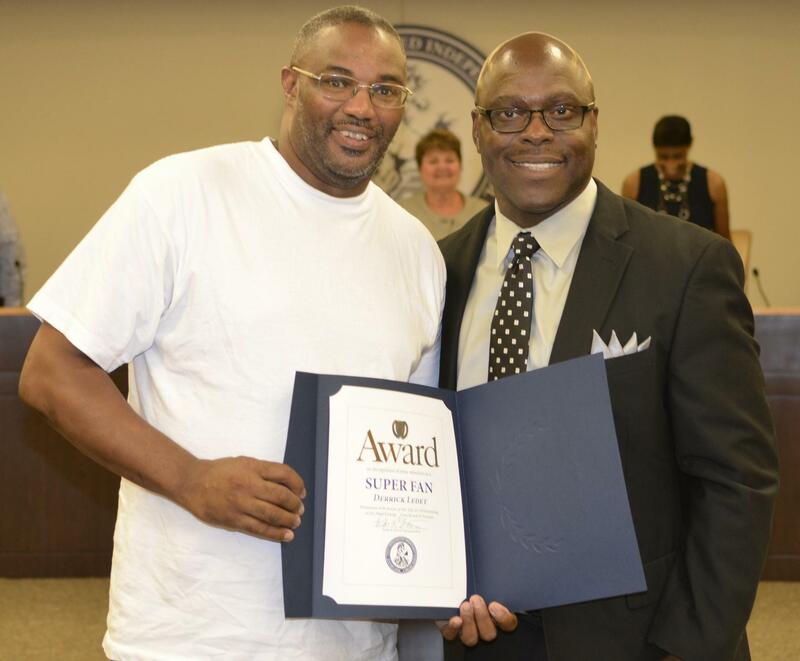 He is pictured with Superintendent Rickie Harris. 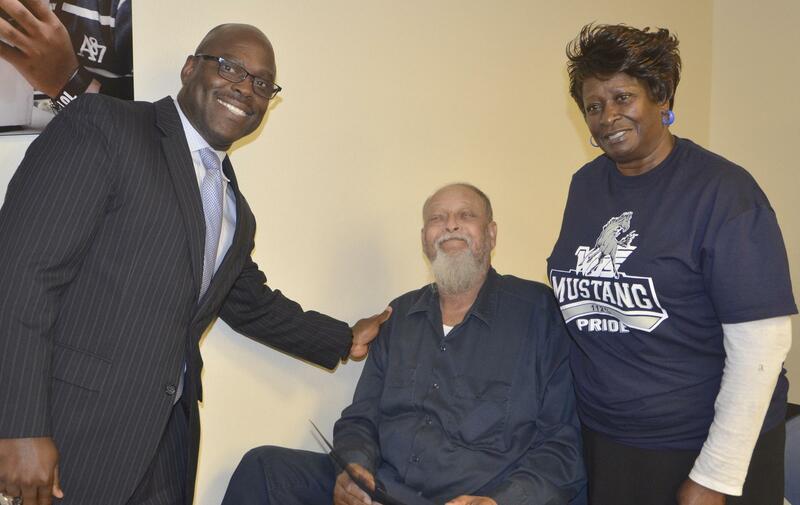 June 2018: Horace and Ruby Broussard are Mustang Super Fans who are also members of the first graduating class of West Orange-Stark High School. They are graduates of the Class of 1978. Both continue to support our students and schools. 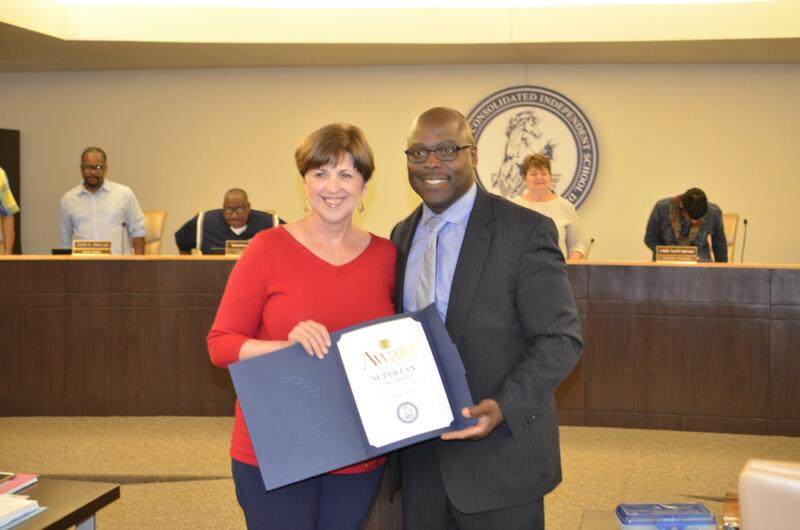 Mr. and Mrs. Broussard have been members of the band boosters program, volunteering for 8 years. Mr. Horace served as the band booster club treasurer for six years. Both are also faithful servants to the community through their church and service organizations. We are proud to honor these two Super Fans. May 2018: Randy Veitch is a Mustang Super Fan. 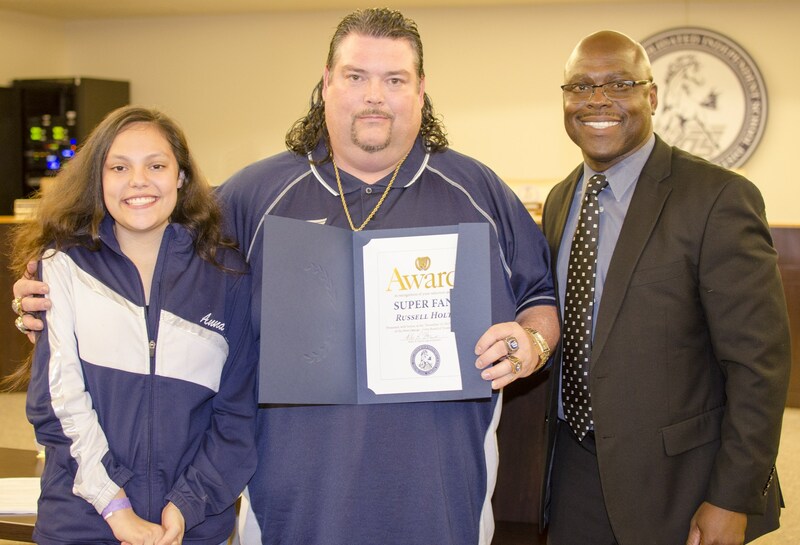 He is a member of the WOS High School Class of 1989 and an active supporter of our baseball and softball teams. Randy attends most softball and baseball practices. On the softball field, he volunteers to help field balls, as needed. He is also a member of the baseball booster club, leading the concession stand operation this year. He arranged concession stand workers and was one of the primary cooks at our games. He is a supporter of all Mustang sports and always puts our students first. We are proud to recognize Randy Veitch. April 2018: Terry Johnson is one of the biggest Mustang football fans in the STATE of Texas! He is a 1979 graduate of WOS who currently lives in the Austin area; and a 50-yard line Mustang football season ticket holder of many years. Despite living four hours away, he attends most of the Mustang football games – home and away, driving to the game and back home each Friday. Terry is a positive supporter of WOS in all areas and is always eager to promote the success of our ‘Stangs and our community in Mustang Mania. (Ida Schossow –his sister – accepted on his behalf). former WOS teacher. She is a big supporter of education and encourages students to pursue academic excellence in order to prepare themselves for the next level of their education careers. In addition to advocating for academics, Ms. Salter can be found cheering for Mustangs district-wide. She is also the parent of a WOS Middle School student. Go Stallions! We are proud to honor Terrie Turner Salter. February 2018: Alfred Sezar Sr. & Patricia Sezar We are proud to honor Mr. & Mrs. Sezar. They are dedicated Mustang Super Fans. Several of their children and grandchildren are Mustang Alumnae, and they also have grandchildren that are currently attending our schools. Even they the Sezar’s reside in Louisiana, they do their best to attend all of the Mustang games. and grandchildren are Mustangs. She attends events, generally with her cow bell noisemaker, cheering for our teams. 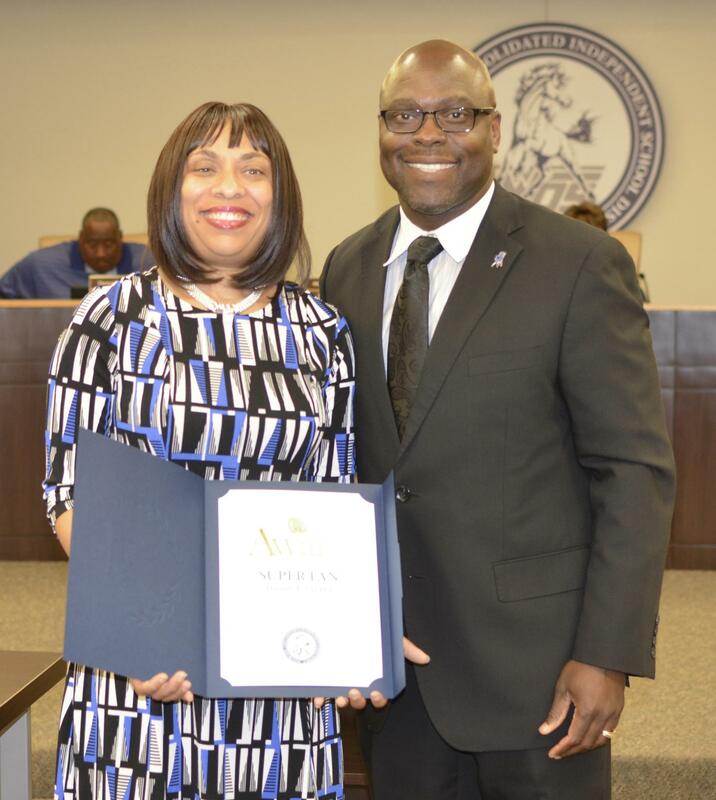 According to her five nominations, “she is one of the loudest and proudest fans in the stands.” We are glad to recognize Ms. Lydia “NeNe” Garrett. 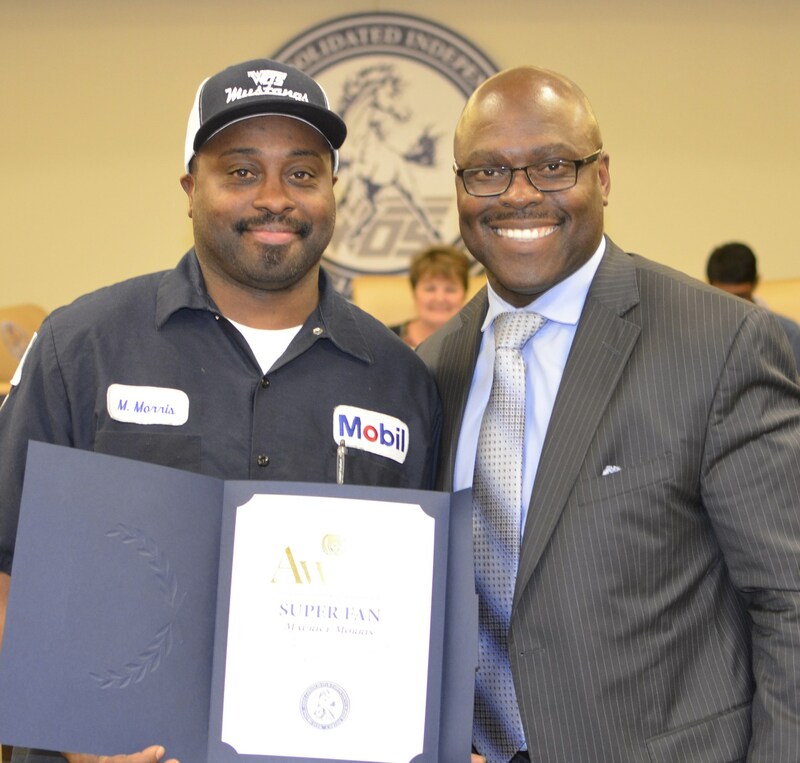 January 2018: Congratulations to Joseph Robinson! He is a Mustang Super Fan who is also a devoted classroom volunteer. 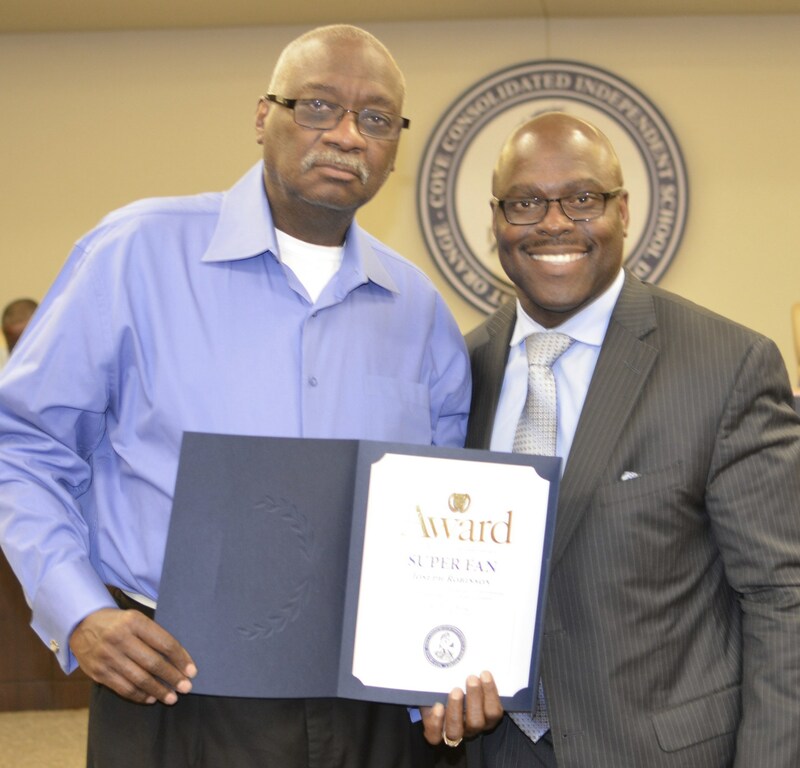 He began his dedicated and weekly commitment to our students 6 years ago in Ms. Benson’s kindergarten classroom. Each week he spends a few hours reading to students and giving them the opportunity to read to him. He encourages them to work hard and make right choices.Mr. Robinson lets students know that succeeding is important and that he is always in their corner. January 2018: Maurice Morris is a Mustang Super Fan! He is a graduate of WOS and has been a committed fan of the Mustangs since he was a boy. In fact, he has attended all Mustang football games, home and away, since he was a child. For the past ten years, he has even attended the football practices. He is not only a fan of football, but also attends and cheers for athletes in our other sports, as well. Mr. Morris has two seniors this year, but we know that we will continue to see him cheering in our stadium and gymnasium for all of our future ‘Stangs! November 2017: James and Lanita Brown are Mustang Super Fans! Even though their Mustang graduated years ago, these two continue to support the 'Stangs! They do not miss a football game; and, also attend basketball and baseball games. We appreciate your support! They are pictured with Superintendent Rickie Harris. November 2017: Russell Holt is a Mustang Super Fan. Congratulations! 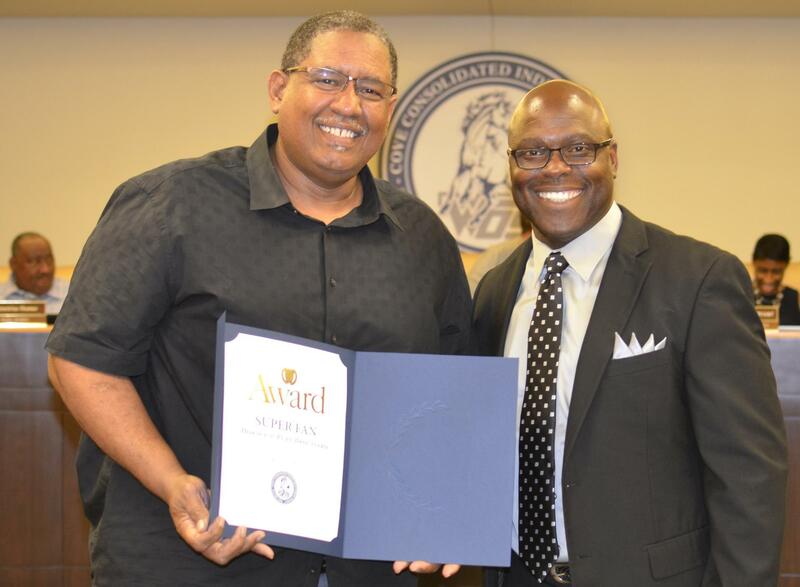 Mr. Holt was a member of the state championship teams of the '80's and is a current member of the Men of Excellence School Community Partnership which supports WOC schools. He LOVES Mustang Football. Daily, he touches the "Pursuit" sign in his home; and, on game day, he touches it twice. He is pictured with his daughter and Superintendent Rickie Harris. October 2017: Congratulations to Larry Spears Jr. He is an amazing fan! Here's why: The Mustang Fight Song was played as he and his wife entered their wedding reception and he had a Mustang Groom's Cake. He has a Mustang room in his home, doesn't miss a game; and, he watches old Mustang football games and highlights often. Additionally, he was instrumental in organizing the Mustang State Championship Parades! There are so many more reasons, as well (and not enough space). 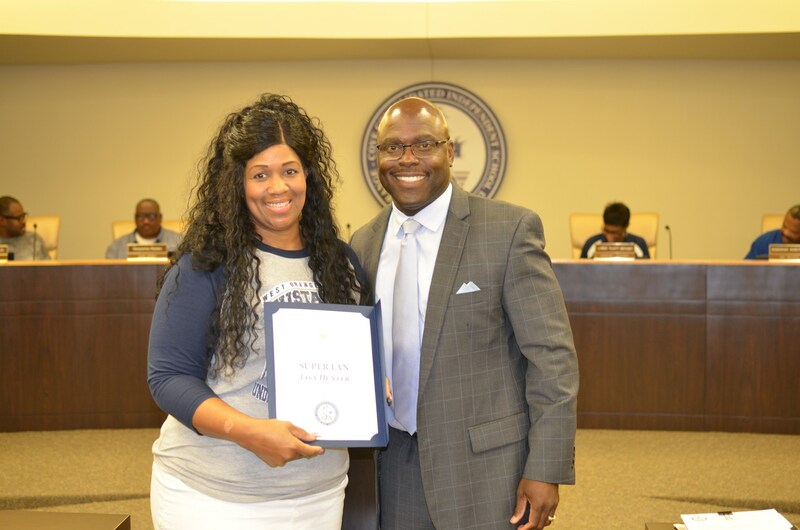 July 2017: Lisa Hunter is a Mustang Super Fan! Not only is she at every football game cheering loudly in the stands, but, she is recording the game for Facebook Live in order to share it with those who cannot be present. She is a former West Orange – Stark High School Filly. Through her children she has been a Filly Mom, a Band Booster, and a Football Mom. Her heart is True Blue and her spirit is unmatched.